First of its kind Carboy Protector: The Carboy Bumper was designed to preserve the life of your carboy and reduce the risk of breakage by offering protection where your carboy needs it most. You place your carboy on its bottom every time you set it down. The ground is hard and glass is fragile. The Carboy Bumper will minimize the risk of damage from repeated hard landings, bumps, knocks, and other stresses of day-to-day use. Extreme shock protection provided by PORON® Shock Absorbing Foam. 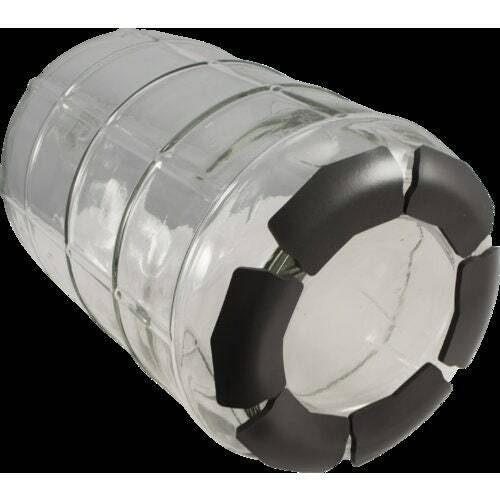 The Carboy bumper absorbs shock to protect your carboy from hard landings, bumps, knocks, and other stresses of day-to-day use that, overtime, can create microfractures in the glass that may lead to failure. Specialized 3M™ adhesive film is water and chemical resistant. 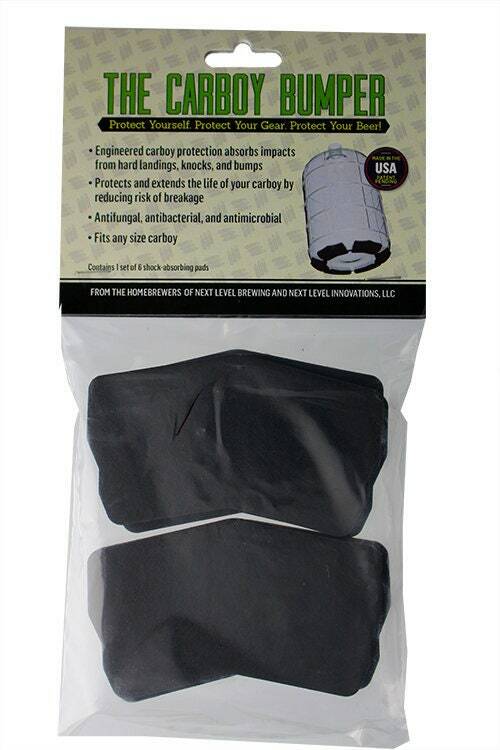 Anti-fungal, Anti-microbial, & Anti-bacterial ensure the Carboy Bumper sticks to your glass. Works with any size glass carboy and makes handling glass much easier when you don't have to cringe whenever you set it down. Patent Pending low profile and lightweight design is compatible with all other carboy accessories and your carboy will still fit in your fermentation chamber. Easy to install with customizable applications that allow you to modify protection to suit your needs​​​. Value added: For much less than the price of a new carboy you can reduce the risk of injury to yourself, catastrophic loss of your equipment, and most importantly your brew or wine.